8GB Wii U Basic Nixed? A reliable retail source tells us that some GameStop chains will no longer be selling the 8GB Wii U as of June 18, exactly one week after Nintendo's big E3 kick-off event. Nintendo Wii U Basic Recall - Two Week Preparation On Tuesday, 6/18, all stories will need to return all new/unopened Wii U Basic (020359). .. Stores that have 10 or more in stock will receive shipping cartons from the [distribution center]. .. All other stores will need to save shipping cartons for this recall. GameStop officials have not replied to our request for an official comment; we'll let you know if they do. Nintendo tells us: "We do not comment on our business practices with retailers." That's not helpful! Product recall for a defect? Or some pre-E3 removal of inventory to get ready for a price drop for the 32 GB model? Or just a discontinuation of the 8GB model? We don't know, but our retail source has a good track record. We'd love to hear from more. 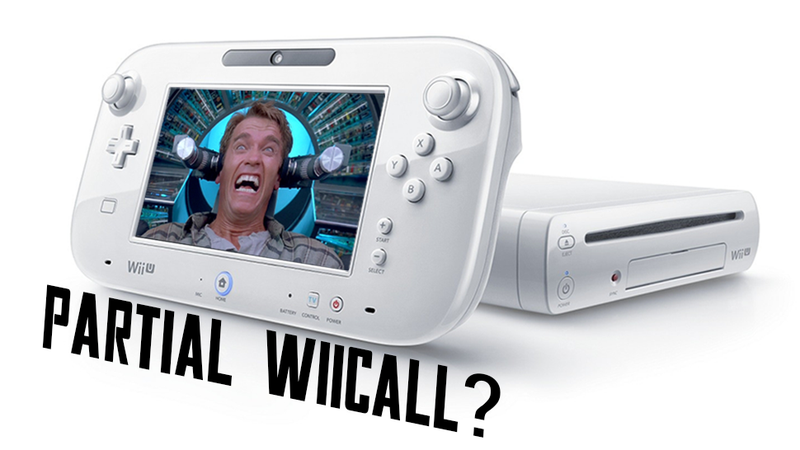 The 8GB version of the Wii U costs $300 and is white. You can't even fit some Wii U games on its meager internal storage. Nintendo sells a 32GB model for $350 with Nintendo Land packed in. The 32GB Deluxes version was always the better deal and apparently sold better from the start. Closer to launch, we heard from many retail sources and readers who said they'd see Basics in stock but not Deluxes. The Wii U launched on November 18. It's a good system but has been plagued by a lack of compelling first-year games, something Nintendo hopes to change with the looming releases of Pikmin 3, The Wonderful 101 and promised new Zelda and Mario adventures.